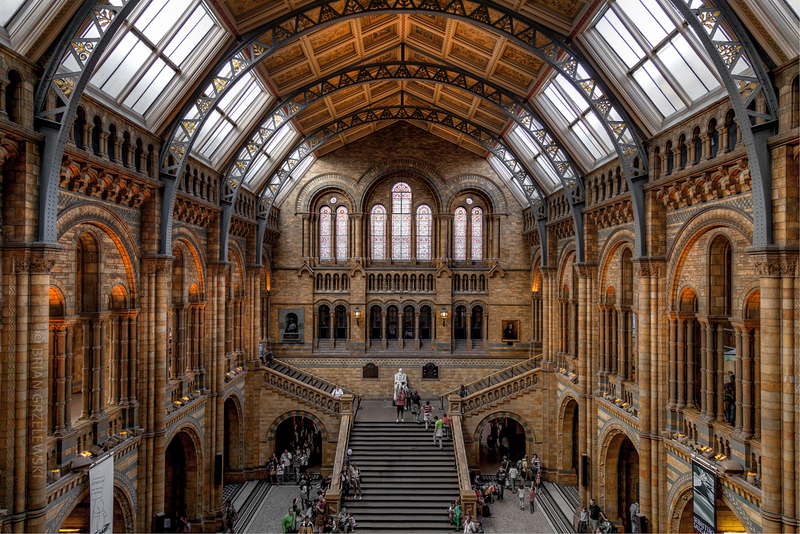 London’s National History Museum is an awesome place. It’s an amazing building, inside and out. It’s got a huge collection of educational and entertaining exhibits to see. And admission is free. Now, we did have to stand for an hour in the rain to get in. But, that’s our fault for not getting out of bed until late. Live and learn. When we entered this room, I said, “I want to get up there!” for a picture. We went up the stairs and down some hallways to get to this vantage point. Sure enough, it was a great view of the giant interior front room of the museum.